I grew up ten minutes from Laurel Park mall where the most massive book and media sale took place every year! I attended for years, and it gradually grew bigger and bigger. Now I live in Macomb County, but I'm still willing to hop in my van and attend this fantastic event. You see, I love to read. I love escaping, learning, growing and becoming a better person just because I read a book. Books can change your life. If you claim you're not a reader well, I hate to tell you, but you haven't met the right book yet! The moment you arrive at BookStock Michigan's largest used book & media sale the soft scent of a tangible book will consume your senses. Yes, I have a Kindle, but there is nothing like being able to write in and underline things that you want to remember. I just came home from vacation, and I was totally bummed that I didn't buy a physical book so I could write in it. Well, you won't have this problem when you attend Bookstock! 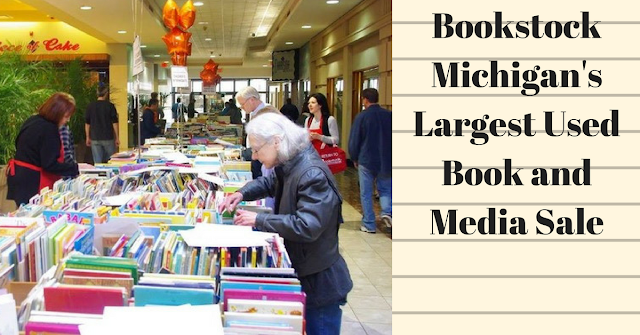 Bookstock is back, offering unbelievable deals on used books and media Sunday, April 22 through Sunday, April 29 at Livonia’s Laurel Park Place. Bargains abound at Bookstock, metro Detroit’s biggest and best-used book and media sale, where proceeds benefit literacy and education projects in metropolitan Detroit. Detroit Free Press columnist Rochelle Riley and Detroit News columnist Neal Rubin are Honorary Co-Chairs of Bookstock and the Mike Morse Law Firm is Bookstock’s 2018 Presenting Sponsor. Bookstock’s Pre-Sale will kick-off on Sunday, April 22 at 8:15 a.m. There is a $20 admission charge for the Pre-Sale only, which runs through 11 a.m. and offers savvy shoppers and collectors first crack at Bookstock’s treasure trove of bargains. Bookstock has over 300,000 donated used books, DVDs, CDs, books on tape, magazines, and vinyl for sale at bargain basement prices. The sale will continue through Sunday, April 29, running Sundays, 11 a.m. – 6 p.m. and Monday through Saturday 10 a.m. – 9 p.m.
• Monday Madness – Monday, April 23: The first 1,000 shoppers will receive spectacular giveaways including a $50 VISA gift card every hour, and one lucky shopper will receive a $500 VISA gift card. • Teacher Appreciation Day – Tuesday, April 24: Bookstock is celebrating teachers by giving 50% off to all teachers with a valid ID from 3 – 9 p.m. At 5 p.m., the Bookstock B.E.S.T. * Awards, (Bookstock Extraordinary Student/School/Teacher) will be presented to fourth-grade students from Detroit Public Schools Community District who write the top essays entitled, “My Favorite Book Character…and Why.” A WDIV TV personality will present the awards live, and cash prizes will be given to five students, their teachers, and their schools. • Cookstock – Wednesday, April 25: Cookstock will feature the area’s largest collection of gently used cookbooks, and the winners of the Cookstock Cupcake Recipe Contest will be announced by local news Anchors Carolyn Clifford (WXYZ-Channel 7) Sherry Margolis (Fox 2) and TV host Tati Amare (WDIV- Local 4) at 5 .pm. at Bookstock. The winning cupcake will be featured at Good Cakes and Bakes, Detroit’s hottest new bakery, and appear on WDIV Local 4’s Live in the D.
• Bookbuster Special Days – Thursday, April 26 and Friday, April 27: Buy three books and get the fourth book free (least expensive item) from 3 – 9 p.m.
• Children’s Day – Saturday, April 28: Special children’s activities from 10 a.m. – 3 p.m. featuring Toyology, Arts and Scraps and Goldfish Swim School. • Half Price Finale, Sunday, April 29: All books and media will be sold for half price! 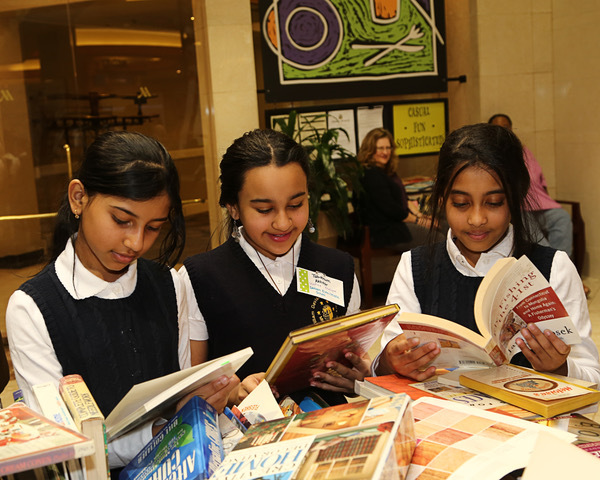 Marking 16 years of supporting the need to read, Bookstock has generated more than $1.8 million for literacy and education projects throughout Oakland County and Detroit. More than 800 volunteers work together throughout the year to organize and staff the weeklong Bookstock sale. Bookstock, Michigan’s largest used book, and media sale, invites amateur bakers across Michigan to submit their recipe to the Best Cupcake Ever Contest! A celebrity judging panel featuring Anderson, Detroit Free Press restaurant critic Mark Kurlyandchik and Detroit Free Press food writer Sue Selasky will judge the contest. Local news stars Carolyn Clifford (WXYZ-TV 7), Sherry Margolis (FOX2) and Tati Amare (WDIV Local 4) will join Bookstock sponsor Sue Morse and Bookstock Honorary Co-Chair Rochelle Riley to announce the winners at 5 p.m. Wednesday, April 25 at Laurel Park Place in Livonia. Complete Cookstock rules and an entry form can be downloaded from the Bookstock website: bookstockmi.org/cookstock. Send your recipe and the entry form to cookstock18@gmail.com by midnight April 8. Cookstock is a part of Bookstock, which runs April 22-29 at Livonia’s Laurel Park Place. 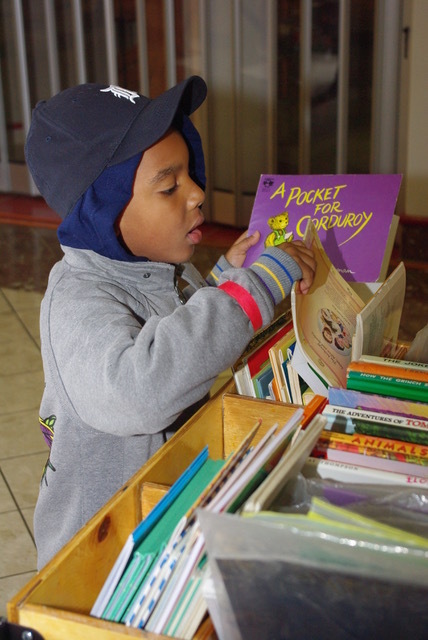 Marking 15 years of supporting the need to read, Bookstock has generated nearly $2 million for literacy and education projects throughout Oakland County and Detroit. Bookstock is brought to the community by the Jewish Community Relations Council/AJC, and a consortium of non-profit organizations that support education and literacy projects throughout metro Detroit. For more information about Bookstock, call the Bookstock hotline, (248) 645-7840, ext. 365, or visit bookstockmi.org. Laurel Park Place is located on 6 Mile Road east of I-275 in Livonia. Will you be attending Bookstock this year?